A little afternoon humor for you…. Take a look at the image above. My lil’ one wants to become a blogger when she gets older. LOVE IT! Honestly, I just about cried!! She also wants to make $1000 a year. LOL – we won’t tell her how much it actually costs to survive in today’s day and age. Let’s let that one slide for now because Natalie lives on love not money. But wow – out of all the little girl occupational dreams (dancer, singer, movie star), she picked her mom’s actual job. That made me smile. I also want to note that she plans on having 9… no make that 10 kids. So, I am going to have lots of grandbabies around in my old age. OH and if all this comes true, Natalie will live 1 mile away from her parents. Hopefully LESS if you ask me. 🙂 Love this book! 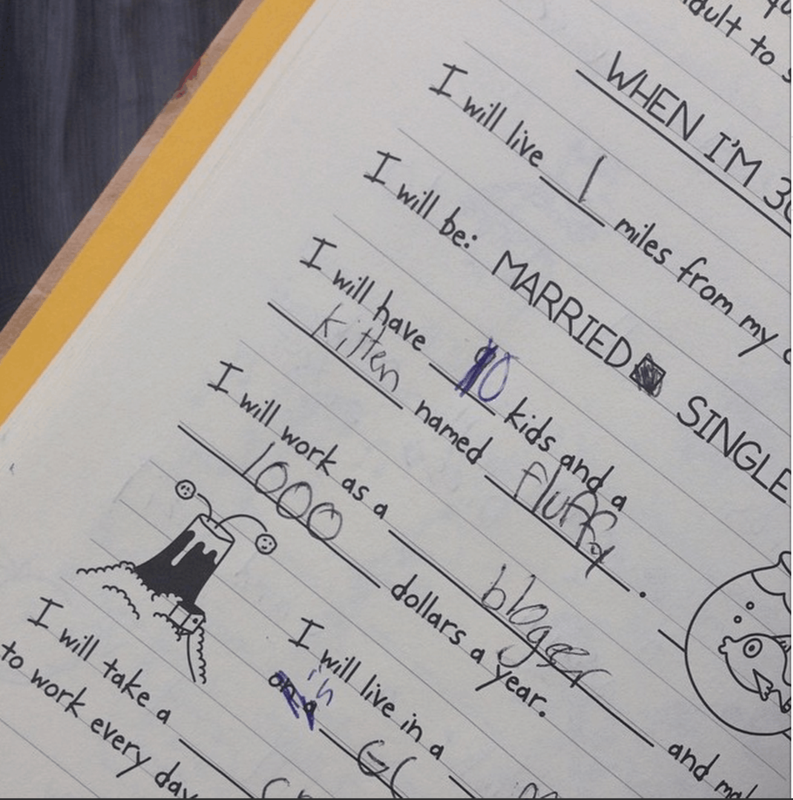 In case you are interested, this page is from the The Wimpy Kid Do-It-Yourself Book (Diary of a Wimpy Kid).